The Support Our Troops® Troopons® program enhances the well-being of overseas and domestic military families by sending them food, non-food, baby, and pet manufacturer coupons to make their hard-earned dollars go farther. What are Troopons? Troopons® are what you can do with coupons you don't use! Send them to the troops overseas! It's an easy way to make a big difference in their lives. Print and use our handy clipping/packing instructions. They get them packed the way the commissaries need them. ~Happy Military Spouse and Mommy to Two Wonderful Angels, currently in Germany, "Hallo, I just would like to let you know that we received your coupons. Thank you very much and mainly for separating them in to those 4 categories for us, it helps a lot. Thank you! God bless you and take care! "~ Illesheim, Germany. Simply mail your coupons the cheapest way you can to us, and we will make sure they get to the troops. SupportOurTroops.Org administers the routing from there forward to base stores worldwide, and to bases across the U.S. following the constantly changing needs related to category and quantity per location. From manufacturers for individual products; examples include items like soup, pasta, or toothpaste. Not for individual stores - coupons for individual stores cannot be used. Separated into food, non-food, baby, and pet baggies (the military advises they will recycle unsorted coupons due to lack of manpower). Our commissary no longer distributes internet coupons due to on-line forgeries. Tips for Sending Coupons: Watch the Coupon Dates! Match the expiration dates to the shipping addresses very carefully so they're routed to the proper location. We can't clip them for you and the bases will not accept them because they don't have the manpower. Save on your postage (why pay to ship all the rest of that sheet of paper? Only "Manufacturer's Coupons" can be used. They can be from the newspaper, dispensers in grocery stores, tear-pads, and elsewhere as long as they state "Manufacturer's Coupon" on them. Pack them separated in sandwich or quart-size plastic bags. Bases usually have a grocery store and a department store. Separate food, baby products, and non-food coupons to help the base volunteers and personnel send them to the right stores. Don't use rubber bands, paper clips, etc. Write "food," "baby," "non-food" on the outside of each bag. Write the approximate value on the outside of the bag. Use the maximum value printed on any "buy one, get one free" offers. If none is printed, estimate. See the whole survey results here. Are we still doing this? Yes, if you see this page, we are still doing this. This is patriotic, but not tax deductible. You'll get your benefit by feeling good now, and when you meet God, not when you file with the taxman. Is There a Minimum Donation Size? A million grains of sand make a big beach. What is "Food"? Food can be eaten or drank by humans for nourishment. Chewing gum and mints are considered food. Housewares, animal food, vitamins, etc. are not food. Why Put the Value of Coupons on the Bag? So that we can allocate the amounts among the various bases according to their sizes and needs. So that we can track how much good is happening by all us little people. Does SOT Ship Coupons to Individual Military Families? No. All of the shipments go to the base stores at which all of the surrounding families will end up anyway. It would be far too expensive and administratively difficult to split out and ship to millions of individual addresses. It would be impossible to estimate and control the proper quantity to individual addresses, and the bulk of them would be wasted be wasted. Why do you Deem it Best to Ship Only to Military Stores? It is by far the most efficient method. We can ship in bulk, which saves tremendously on shipping cost. Everyone wants charities to have low overhead and this is one smart way to do it. 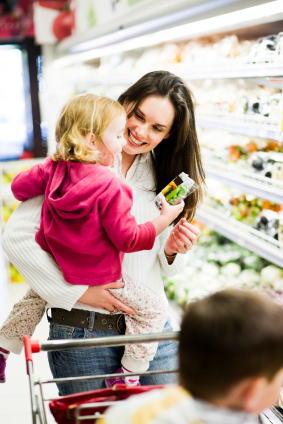 Families can use what they need while they are at the store and put back what they did not use so that the next shopper may use them. Everyone goes to these stores anyway to do their shopping, and these stores are where the coupons need to end up. Further, by dealing only at the store level we are able to ship more to stores which tell us they need more, pause shipments to stores that say they have too much, and send less to stores that tell us they need less. This could not possibly be affordably done at the individual level. Can Off-Base Families Use These Coupons? Absolutely. Most of the off-base families go on base to do their shopping. And so the coupons will be right there at the store where they are needed. Everyone wants charities to maintain low overhead and avoid waste. Shipping to the store allows us to concentrate the resource were will be found by everybody going there whether they come from on-base or off-base. Postage and shipping to thousands of addresses around bases, multiplied by hundreds of bases, would be astronomically expensive and use up funds that could be spent on other wonderful SupportOurTroops.Org programs benefiting active-duty military. So whether one lives off base or on base they can use the Troopons program because they will find the Troopons located at the on-base store. Can People Take Coupons From the Store to Use Off Base? That is up to the policies set by your local base store. Once delivered to the store by SOT, ownership is relinquished and the use of these coupons by the store is without restriction. SupportOurTroops.Org does not believe it needs to micromanage matters after delivery and that such decisions are best made within the military community. SOT just gets its hands on as much stuff as it can and pushes over to the military. Once it is in the military's hands, the military is best to determine particular aspects of its use. We do not sell coupons. And this is not an offer to buy coupons. This transfer program is void where prohibited. We also try not to accept coupons from companies or products wanting to prohibit free transfer of their coupons to military families. In the opinion of many such a practice would be un-American. But to assist implementing the wishes of a company or product wanting their coupons not to be given to military families, we will upon notice post a list of such companies and products on this webpage to notify all good Americans participating in the Troopons program of that company's position and behavior in order to assist in avoiding collection of those types of coupons. Let's make the troops as proud of us as we are of them! Japan, April 10, 2011: "Good morning, On behalf of the Marines, Sailors, civilian employees and family members aboard Marine Corp Air Station Iwakuni, Japan, we would like to thank you and your organization for preparing and sending coupons to our service members and families. We truly appreciate your commitment and contribution to our coupon distribution program and would love for you to keep us on your mailing list. Our personal financial manager here at Marine and Family Services conducts a quarterly "Biggest Saver Coupon Contest," and it has been a huge success here on the air station. Last quarter's winner saved $216.95, and the biggest saver overall saved over $650. The winners receive a free one-hour massage. As you can see, the work that you have put forth with these coupons was not in vain. Again, thank you for all that you do to support our military community." Sincerely, Marine and Family Services, MCAS Iwakuni, Japan.